Nov. 19, 2018: Over the weekend, a small sunspot materialized in the sun’s northern hemisphere, then, hours later, vanished again. Such an occurrence is hardly unusual during solar minimum when sunspots are naturally small and short-lived. 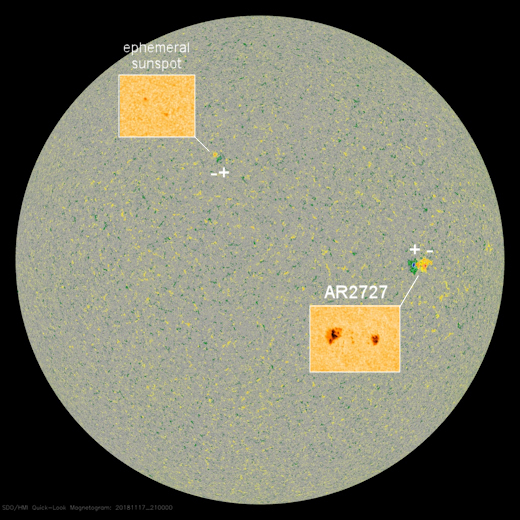 However, this ephemeral spot was noteworthy because its magnetic field was reversed–marking it as a member of the next solar cycle.